Come join me in my spacious, light filled art studio at the Tannery Row Artist Colony, located in the historical Tannery Row Building in downtown Buford, Georgia. My studio, Brodie Studio, is also just a stones throw away from Lake Lanier and only a 30 minute drive to downtown Atlanta. 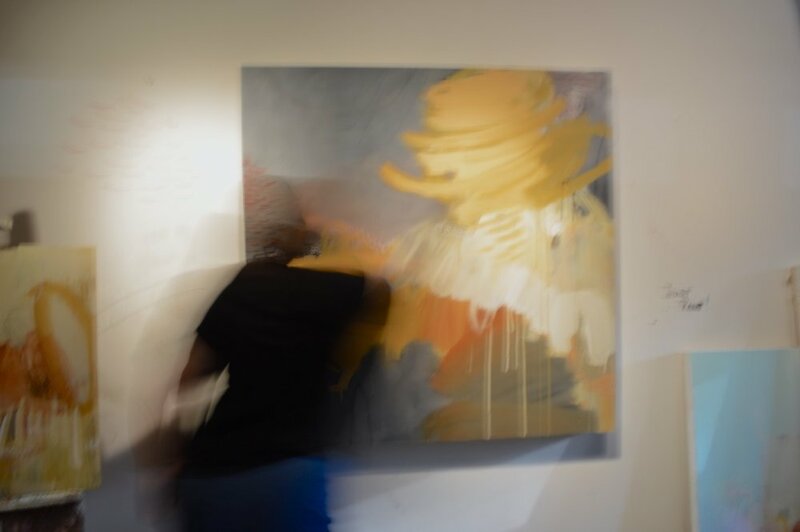 Engage in 3 days of Painting, Discussions, Demonstrations and Exploration…a.k.a. FUN, with plenty of student painting time. In a small group environment, you get more personalized attention from me, Gena Brodie Robbins. Make several small abstract and media exploration studies along with compositional and color discoveries. Develop layers of transparent and opaque shapes, and variety of line to give your surface the qualities it needs to add depth and interest. All levels of painters are welcome. All media are welcome including acrylic, watercolor, oil, pastel, mixed-media. Gena paints with acrylics and also paints in oils. All Payments are made online. Brodie Studio takes all major credit and debit cards, pay pal and apple pay.